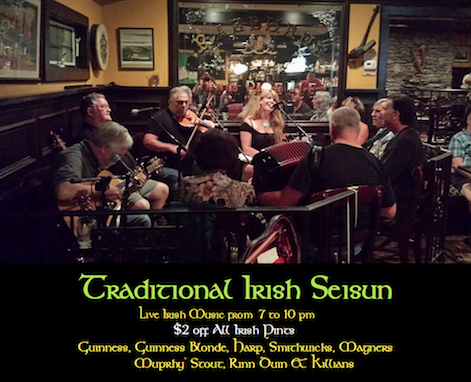 I lead the music along with Philip on Tuesdays, and we play traditional Irish music & songs – from 7:00 – 10:00 pm…. This is the BEST Irish pub on the Jersey Shore… and a place you won’t want to miss! It’s located in the beautiful “Irish Rivera” of Spring Lake, on the Jersey Shore. Come sit in with us for a tune or two! I’ve never been adverse to the cold, or winter… but rather – I find a great degree of comfort in the quiet, dark, days – where the demands of the gardens & outside chores, have been greatly diminished, or gone temporarily dormant… while laying quietly & patiently, under the white frost & snow, for Spring to come & renew them once again. So I’m striving to deepen my level of knowledge this winter… regarding herbs & their natural benefits, applications, and what can be gained from their use. My interest, primarily spurred on – with my goal to keep healthy chickens… (and keep us healthy too). But this is my first Winter with chickens – and the sweet little hens all seem to take it in stride, & I’m the one that’s anxious for them. I do dote on them greatly. 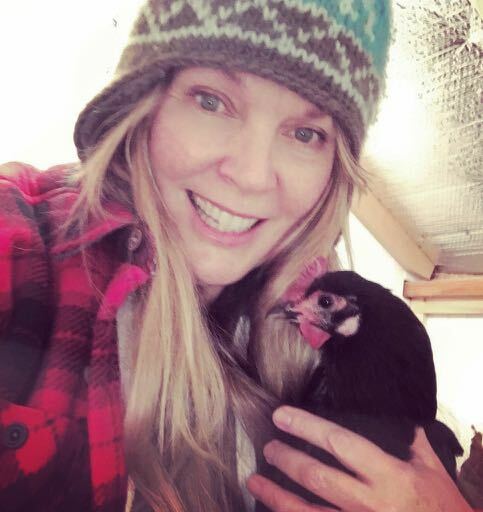 The cold’s been vicious this year, but I’ve kept lots of deep bedding in the coop, clean straw in their run (so they don’t have to get their little feet too terribly cold)… and I’m always working at keeping their health & immune systems strong with good food, fresh veggies & – the best herbs I can get to compliment all of this. It’s a lot like I do for the family and the ‘girls’ seem happy about it all, as I’ve not even seen any slowing down with their generous giving of their beautiful eggs – this winter. 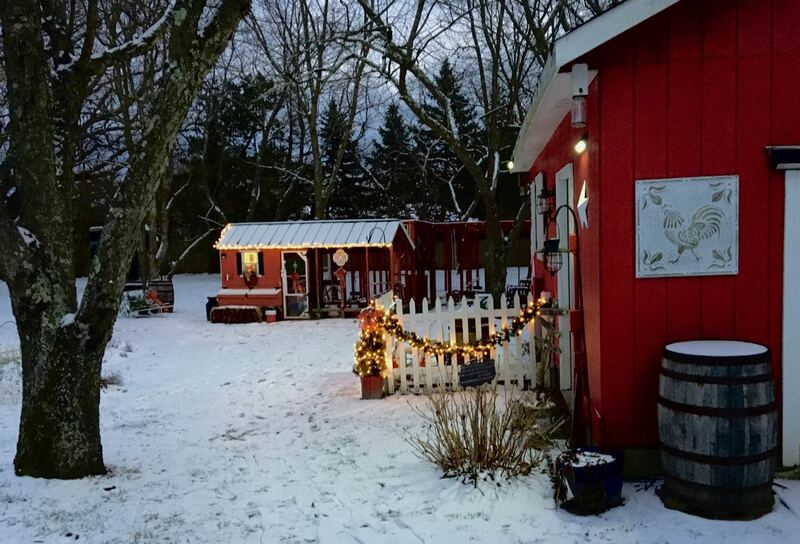 Of course, I’ve had 3 people ask me if they can live in my little glamour, chicken coop… and if I’ll cook for them too… haha. It is a cozy, clean little coop – and I’m happy – espeically in the bitter temps we’ve had this winter – that the reflective, insulation we put up – inside, under the wainscoting – has kept the coop about 15 – 18 degrees warmer than the outside temps – and the humidity is staying low! Yay! But it has been bitterly cold, and sadly, my outside time is a bit more limited than I’d prefer. But I’ve turned my mind to fascinating reading & research – and I’m happy I have the time to explore all my interests. Of course I’m still writing poetry & songs… & creating & learning new tunes, and teaching – and learning from teaching… (which always amazes me – how I find such a reward in giving & teaching others)… but I’ve really stretched my mind this winter – stretched it, to the farthest extents of even my own imagination… and I’m finding even those very boundaries – are expanding almost daily… pushing into endless, wonderful discoveries. 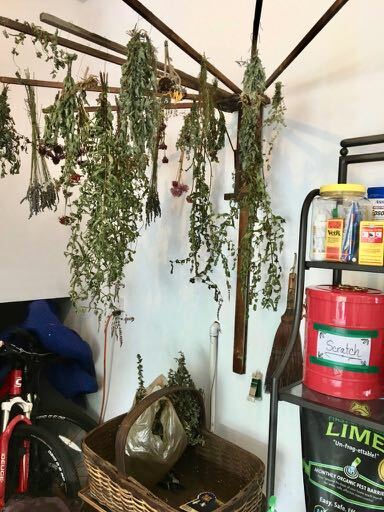 I’ve travelled deeper into researching herb – compiling the medicinal qualities & the mind, body & soulful benefits – of each herb… haha… I guess I’m kinda taking my kitchen witchery – to the next level. I’ve had great success drying the bountiful bunches of herbs & beneficial flowers that grew so abundantly in my gardens last summer. I enjoyed the task of routinely collecting what grows each week, in bunches – & putting them up to dry. I did this right up until late Fall… when that first hard frost, put a stop to my endeavors. 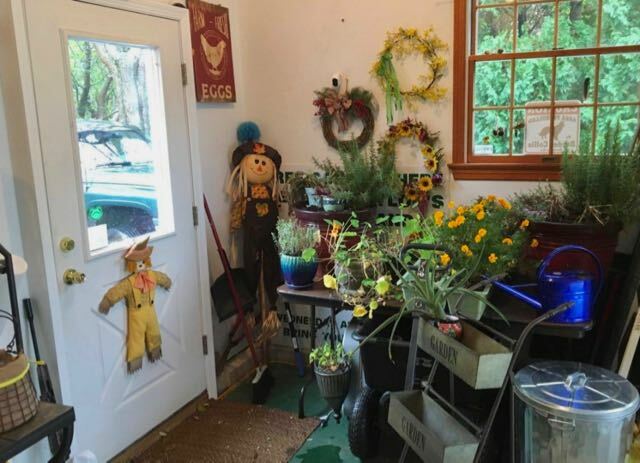 But I used the salvaged herbs & flowers I’d brought in – right up till – well… actually until today… when I decided to cart all the spent plants – out to the chicken run… and let the ‘girls’ have at it’ – with whatever was left of the herbs & flowers. Boy, they are efficient, working, little machines! These chickie girls, when it comes to cleaning up – their work can’t be matched!!! They picked the plants clean… and then they proceeded to scratch and turn up the soil in my planting containers… thus making my future work this coming Spring… so much easier! But I have truly enjoyed using all the herbs – in cooking, & making relaxing teas that aid in immunity boosting tonics, as well as tapping their anti-inflammatory and antioxidant uses, helping joint pain with antiseptic salves, and even relief from colds. Not to mention… sprinkling it all – liberally into the hen’s feed & nesting boxes too. I’d gathered enough to use as a beneficial, all natural supplement, that was immune boosting, an insecticide & rodent repellant. (And I only had 1 foolish little mouse… who thought he could crash in the coop for winter… nestling down into the deep straw… but when the girls found him… well… let me just say – the blood was spattered up the walls from their feast). Not a speck of hyde nor hair was left of him… for those hens are tenacious hunters! Google “chicken eats mouse” on youtube if you want the details… YIKES! It’s insane! But I just love the fresh herbs…and each day – the coop – smells SO good! Fresh straw, and herbs… and my home made, all organic cleaning liquid that I make with Orange, cinnamon & cloves – & well… the coop doesn’t smell like a coop. So why so much care? Because it feels great to know they’re getting the best and most wholesome benefits I can provide, and they’re being fed a wonderful, healthy diet… and the large, beautiful eggs they so generously give us each day – are the best quality for us. So though music runs – as it always has, thick through my veins, this is yet another prism of the diamond I am…. And yes, my fiddle is always on the kitchen counter – while I’m prepping meals, or drying herbs & jarring them for medicinal purposes in slaves, teas and nesting box mixes… as well as my beloved batches of kombucha, home made yogurt & breads, fermenting sour kraut, kefir and fire ciders! … to let the hens out -to start their day… even in the bracing, icy morning air… it makes me feel incredibly grateful & hugely alive, as I watch the dawn wake the world. 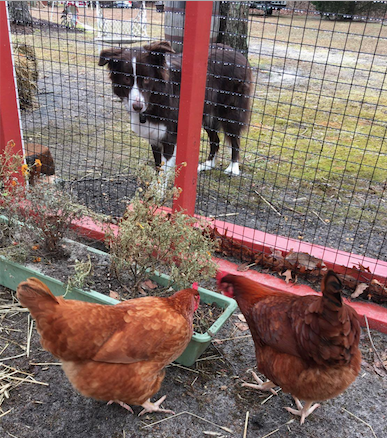 And as I’m greeted by the sweetest little hens… who honestly approach each morning with such eager enthusiasm – it’s a wonderful reminder to me – to embrace each day. But I’m so grateful too, that I have the luxury to follow my dreams, interests and desires – and I”m SO thankful that I can continue my journey in learning, growing and developing. I honestly, don’t have enough hours in the day to do everything I set out to accomplish each morning – and yet at the end of the day… with dirt under my nails… messy hair – (usually stuck with at least 1 piece of straw…) and either paint spattered, or flour, or rosin dusting my sleeves… I honestly fall asleep each night – really happy. It’s been a long time since I could honestly say that… and I’m so truly grateful.